The old painting of Mount Shasta. In an earlier post I described the search for details on a previously unknown painting of Mount Shasta. 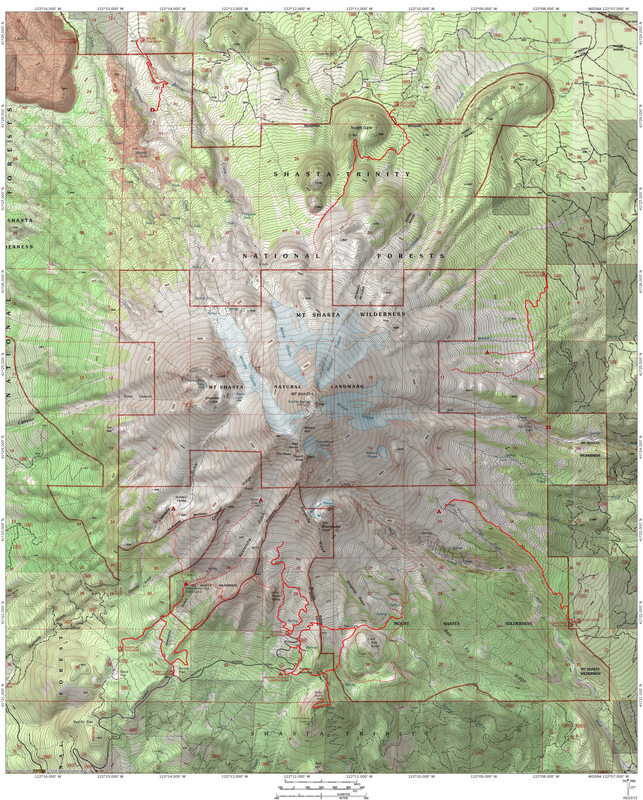 The post concluded on the eve of meeting with two experts on the art of Mount Shasta. One of the gentlemen was the recently retired librarian at the College of the Siskiyous. He maintains the Mount Shasta Collection, which contains an extensive gathering of works relating to Mount Shasta. There is a substantial volume of historical works in the collection. The other gentleman I met with was the author of the book Sudden and Solitary, the definitive work on the art of Mount Shasta. He also headed up the exhibit held at the Turtle Bay Museum in Redding that featured numerous works found in the book. He also put on the lenticular cloud gallery and the recently opened Joaquin Miller exhibit at the Sisson Museum in Mount Shasta. Both men were interested in the historic and unusual nature of the painting my mom had found in a Bay Area thrift store and we arranged a meeting at the College of the Siskiyous library. The backside of the painting, showing the canvas board. The meeting took place in one of the rooms that contains the Mount Shasta Collection. Aside from all the books about Mount Shasta and the area’s inhabitants and history, there were also a few very early paintings of the mountain. After brief conversation, I produced the painting and we set about to examining the painting. The most notable thing we established was the composition of the board that the canvas was stretched over. This was composed of a cardboard like material. This was significant because it was not composed of Masonite, which is a denser material. This dated the painting to some time prior to the 20’s, when Masonite became the standard material for canvas boards. This conformed to what had previously been speculated regarding the establishment of Rocky Mountain National Park. Knowing when the park was founded and the lack of any references to it as well as the absence of Masonite made us confident the painting was made at some point prior to the 20’s. As previously noted, a reference to Kodak film set the low end of the date to the late 1880’s. 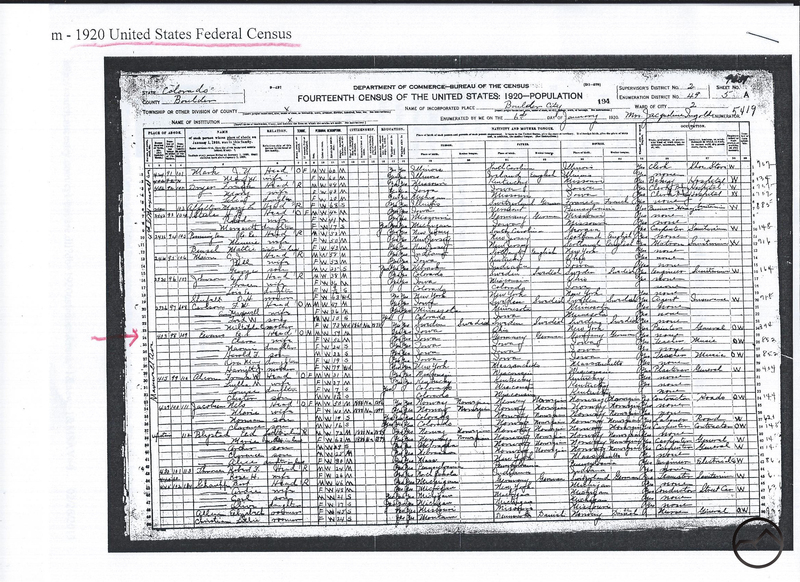 The page from the 1920 Census, showing E.S. Evans. Despite establishing more parameters for the painting’s date, we were still unable to find any information on the artist. After consulting numerous books in the library, the librarian stood up and said he knew where to look and he guaranteed we would find information about the artist there. The other gentleman and I continued to discuss Mount Shasta and its history. Soon the librarian returned triumphantly with a series of photocopied papers. As he predicted, there on the page was the name E.S. 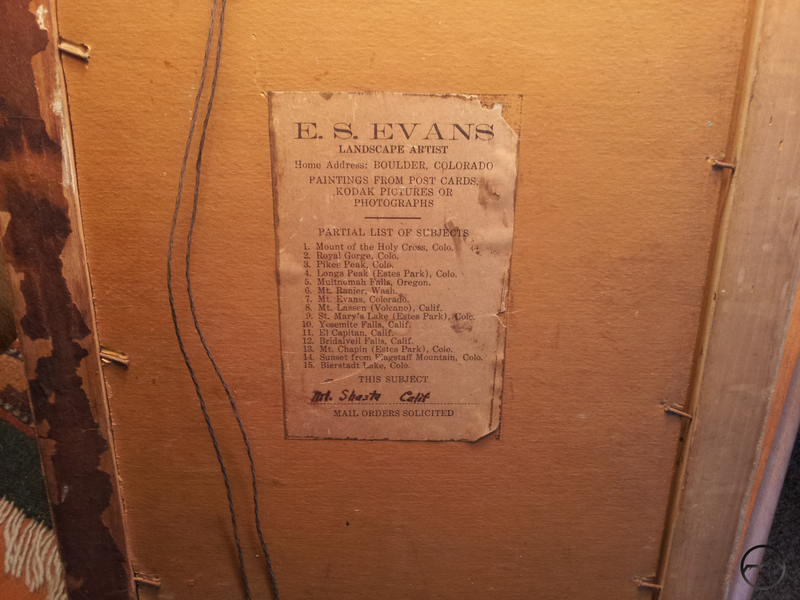 Evans, occupation listed as painter. The documents showing the artist was the 1920 U.S. Census. According to the census information, E.S Evans was born in Iowa and was married to his wife Clara in 1893 in Muskatine Iowa. He shows up in Boulder in the 1900, 1910 and 1920 censuses. These dates aligned with what we already knew about the painting. Based on this evidence we concluded the painting was made sometime between 1895 and 1915. Though we had no firm evidence, we figured a more precise guess was sometime between 1900 and 1910. This guess is based on the fact that Evans had to have time to establish his catalogue listed on the label affixed to the back of the painting. Therefore a date prior to 1900 seemed unlikely, since he had only been in Boulder a few years by that point. A date later than 1910 starts to inch closer to the formation of Rocky Mountain National Park. Pleased with the result of the meeting I headed home with the painting. 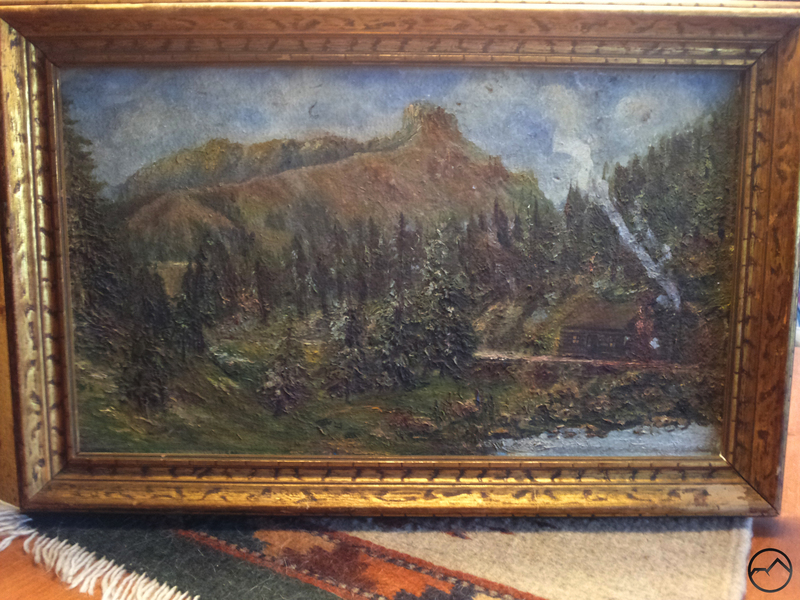 Even though the painting was not as old as initially estimated, it is still over 100 years old and a worthy artifact of the Mount Shasta area. The fact remains that it is an early depiction of the mountain from on the mountain rather than somewhere in the surrounding area. It will hang proudly on our wall, a pleasant reminder of Mount Shasta’s past. Congratulations. Very satisfying it must be.